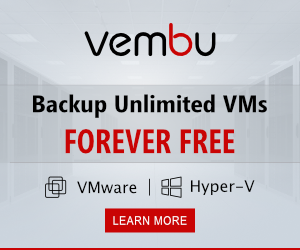 When we take the backup of virtual machines , we normally don’t verify, or we don’t have functionality to verify the backups that have been taken. It is always best practice to make sure your backups are completed successfully so when you want to restore you can easily restore from backups. VM backup data can be corrupted so at that time you will face many problems while restoring. Nakivo has a very good solution for this and their Nakivo Backup & Replication has a feature called Screenshot verification which takes care of your backup verification in unique way. You can setup automated verification for your VM Backups and replicas that is performed in a matter of minutes. To verify VMware backups, NAKIVO Backup & Replication relies on the Flash VM Boot feature. After a VM backup job has completed data transfer, the product can instantly run the VM from the newly created backup (with networking turned off), wait until the OS has booted and make a screenshot, then discard the test-recovered VM. You can view the results of the verification procedure in the product’s interface or choose to receive an email report with the OS screenshot attached. To verify a VM replica, NAKIVO Backup & Replication powers on such replica with networking turned off, makes a screenshot of the OS, then powers off the VM replica. Screenshot verification can be done on demand or you can schedule to run automatically based on your requirements. With this great feature Screenshot verification, you can be sure that your VM Backups data is safe and can be recovered easily without any issues. For more information you can check on Nakivo Official Website Here.